This very easy and fast Easter Crafts for kids project will delight them all. 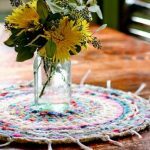 What’s good for you is that it can use 100% recycled materials; it looks great as an Easter table decoration and your child will have a fun Saturday afternoon in the Easter weekend making it. “Hi! I’m the Easter Lady”. 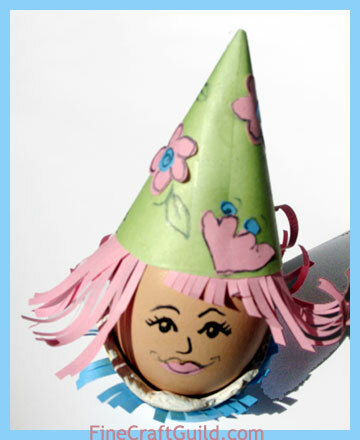 This Easter craft project features a delightful Egg Lady with flower hat, however, you can make the base hair and hat and then finish it off any way you like, and make it into a little guy too. As we are using recycled materials, the first thing to do is to walk around the house and collect scraps. I used two old school notices on colored paper without text on the back, plus a nice green colored tea bag. Find some scissors, sticky-tape, white glue and a black marker, and you have all you need to make the Easter Egg lady decoration. Get any (hard-boiled, emptied or even foam) egg and place it on a cup. 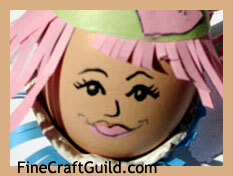 (For a free tutorial on how to make your own paper-mache Easter Egg cup, see this article.) It should be a fairly simple Easter egg holder, that won’t draw too much attention to it. You don’t really need an Easter craft pattern for the cut out of the hat: I opened a tea bag of my favorite green tea and cut out a little more than a semi-circle. That’s it. When you’ve cut the hat, make a tiny mark where the front center is, and while it’s still flat, decorate the hat. I used paper in two colors (the recycled school notices) to make a few flowers that I stuck on with glue. I traced the edges of the flowers with a thin marker. I held the hat above my egg to see if I liked the design. When I felt the design was right, just glue the hat together. The section beyond the black dotted line in the picture goes on top of the other side of your semi-circle. Easter lady hat done. Your free Easter craft pattern for hair: cut a strip of hair a bit smaller than your hat. Make a row of incisions into the strip to replicate fine hair. You could do two layers of hair, but I chose just one. Glue the hair on the inside of the hat. It does not have to cover the whole circle, just the back and the sides of the egg face. Draw two eyes onto the egg with your thin market. Now cut the hair at the front of the egg, framing its face. Just trim it like you are giving your egg a haircut. Ha ha. Like curls? Use the sharp side of your scissors and scrape it over the paper (like you would to create curls in a gift ribbon). Your paper will get a nice curl that looks just like hair. Be gentle not to tear off the paper, or you’ll have to patch it up with a new strip of hair, which also will have to be glued on the inside. 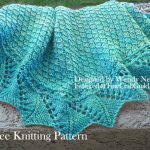 To match the hair, I duplicated the hair strip on blue paper to be the Egg Lady’s sweater collar as this would complete the design. Depending on your cup holder, it might be more appropriate to cut an extra flower and tape that on your egg holder. Use your own fantasy. To finish it off, cut a tiny set of lips and glue it onto your egg. Mark the nose, and you’re done. First practice drawing the face on a piece of paper. turn it over, and use the other side of the egg instead. 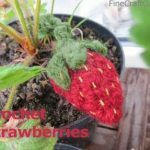 Don’t use too many different materials. Use papers that are of the same intensity: In this case I used all pastels. Make a few egg people so you can great a group of them, and/or pick the best ones for use at the Easter brunch table as some delightful, personal, kid-friendly decorations. The trick, Lydia, is to try the face out on a piece of scrap paper first. 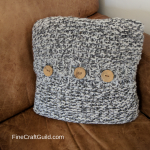 Then, when you have a likeable design, try it once again on scrap, and then…. try it on the egg. Note too that I mentioned that you can turn the egg around and paint the face for a second time, in case you need to. Guess how I came up with that idea …. lol… oh yeah, life is about good guesses, hunches and lots of trial and error, with a great smile !